It’s good to be an Internet of Things startup these days. Cisco forked over $1.4B for IoT platform provider Jasper in February. Nokia Growth Partners has raised a $350 million IoT-focused investment fund. And IoT startups are pulling in tens of millions in venture funding. Verizon, in its new “State of the Market: Internet of Things 2016” report, states that its venture arm estimates that while consumer-oriented IoT firms pulled in 15% more funding than enterprise-focused ones in 2014, it is enterprise IoT startups that are now raking in the big bucks. Verizon Ventures says enterprise IoT startups attracted 75% more funding than consumer IoT upstarts last year and that enterprise IoT startups are expected to grab 2 to 3 times as much funding as their consumer counterparts this year. 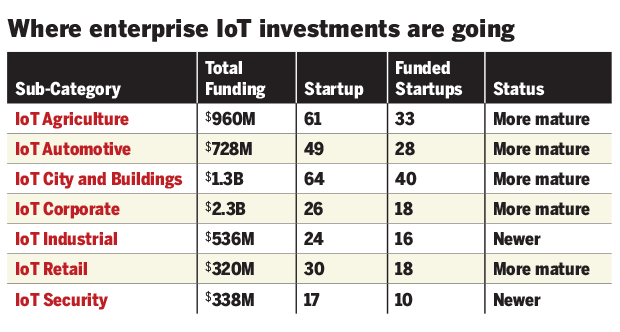 Venture Scanner, which helps its customers identify startups and trends, broke out data for Network World to show where Enterprise IoT funding is going (defining Enterprise IoT startups as those that “seek to create ‘connected devices’ for businesses”). Corporate office/white collar IoT and smart cities/buildings are the two biggest areas of investment, with industrial and security IoT being among the newer, hotter categories. Funding: Close to $27 million in all, with $15 million in Series C funding in January, including from ORIX Ventures. Focus: Provides an IoT platform that hooks up consumer products from the likes of Whirlpool and Liftmaster with their customers via the Internet. The company, which is no typical startup in that it’s been around since 2002, showcased an Internet-connected Febreze scent dispenser at the CES show in Vegas earlier this year. Arrayent works with a bunch of partners, from systems integrators to mobile app developers to processor companies like Broadcom and TI. Its secure Connect Platform is chock full of capabilities, from device and user management to security and UI tools. Funding: More than $6 million, including a $5M Series A round in August led by Bullpen Capital and including Verizon Ventures. Focus: Long-range wireless sensor networks for existing industrial infrastructure. Such networks could be used for everything from tracking stock in vending machines to keeping tabs on materials in farm silos to monitoring worker safety. 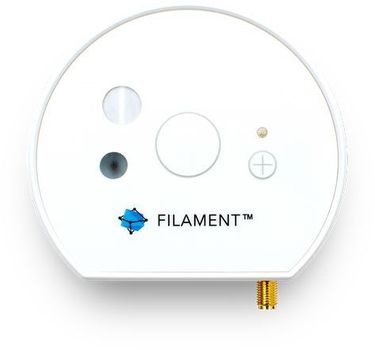 The company’s hardware includes the Tap, which can be used to wirelessly connect old equipment, and the Patch, which vendors can build into their products to enable wireless connectivity. One element of the company’s secret sauce: blockchain technologies, such as those that have gained some prominence in bitcoin setups. Other features it boasts of – end-to-end message encryption and self-forming radio mesh networks. Focus: Greenwave’s AXON software and services platform is used by companies to provide a wide variety of managed IoT-oriented services to their customers. One marquee customer is Verizon, which offers a FiOS Quantum Gateway that Greenwave helped to develop. Greenwave introduced new Mobile IoT support during Mobile World Congress and says its technology can be used by managed service providers to handle billions of devices, including those used for tracking people, animals and cars. 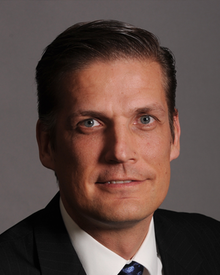 The company is led by Martin Manniche, former CTO at Cisco’s Consumer Business Group. Focus: Secure and configurable beacon hardware (indoor or outdoor) and software for building proximity-aware IoT offerings. The company supports Bluetooth Low Energy, iBeacon and other communications technologies. The company’s founders started out by working on a way to help the visually impaired enjoy museum tours. Kontakt.io lists GE and IBM as being among its customers. Funding: $4.89M in seed funding, from Accomplice, .406 Ventures and Draper. Focus: Cloud-based service that uses DARPA-funded indexed search to continuously monitor open source code, including on Internet of Things devices, for vulnerabilities. The company’s co-founders hail from Draper Laboratory, where they worked on cybersecurity technologies. You can sign up for a free trial here. Funding: Roughly $40 million, including a $25M Series C round in October led by Sapphire Ventures. enable developers to provide real-time connectivity and control for apps and IoT devices. The company claims it has more than 2,000 customers (McDonald’s, Coca-Cola, a bunch of niche IoT players, etc.) and partners, and averages more than 1.8 trillion real-time transactions over its network, which is supported by more than a dozen data centers. Some think the company could branch out into offering its services across private networks as well. Funding: $14 million, including an $8.5M Series A round in February led by Carmel Ventures. Focus: Led by brothers Lior and Liran Akavia, Seebo offers software and connections to help organizations bring smart, IoT-enabled products to market in areas ranging from toys to health to travel to fashion. Offerings include everything from product development tools to analytics tools to over-the-air updating capabilities. 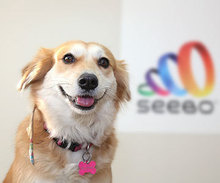 And you know your data will be safe working with Seebo, which has Mika the dog around as Chief Security Officer. Funding: $270K in funding last July via angel investors. Funding: Scored $22M in Series B funding in February, led Verizon Ventures and including Cisco Investments, bringing total funding to $27 million. Focus: The Internet of Moving Things, as in, fleets of vehicles as well as at airports, seaports and more. Managed services, including mobile WiFi hotspots and mesh networks, from Veniam offer expanded wireless coverage in communities, data analysis that can be used for smart city apps and planning, and more. Not surprisingly perhaps, a couple of the company’s founders were behind Zipcar. Focus: Open-source platform aimed at getting IoT devices and IP networks to work together to support smart homes and businesses. The WigWag Relay is designed to obey user-initiated rules so that WigWag gear, such as smart lighting, can be automated. Customers can also employ a mobile app for control on the go. WigWag is working to make its products work with a wide array of offerings from others, even if they rely on other protocols such as Zigbee and Bluetooth. The company’s leaders come from videoconferencing company Lifesize Communications, a Logitech buyout.